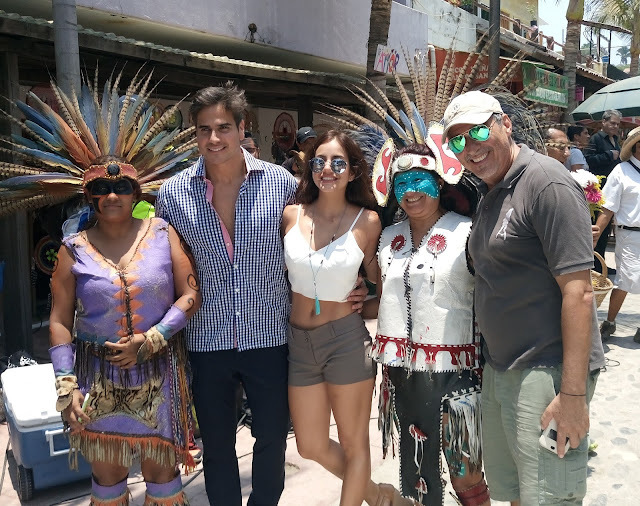 Producer Pedro Damián and the cast of this YA soap opera are in the destination taping some of its most beautiful scenery to be aired in primetime on Televisa. The cast and crew of the Spanish-language soap opera, Despertar Contigo, are currently in the Riviera Nayarit taping its gorgeous landscapes. So far, producer Pedro Damián has chosen Sayulita and Nuevo Vallarta for his latest scenes. The actors and crew of this comedic show arrived on May 28th and commenced filming in Puerto Vallarta before they arrived in the Riviera Nayarit. They will remain in Mexico’s Pacific Treasure working for the show until June 12th. The Public Relations desk of the Riviera Nayarit Convention and Visitors Bureau (CVB) helped with the location scouting, securing filming permits and the support of security and transit authorities. Pedro Damián is considered one of Televisa’s top producers, especially with the YA (Young Adult) scripts that have been so successful on national television programming. Despertar Contigo is being transmitted across Mexico during primetime, offering excellent exposure to the region.